You can only operate a geothermal power plant in the presence of abundant geothermal energy, right? Wrong! Well, sort of. Historically, the building and operation of geothermal power plants has been tightly restricted to geothermally active areas. Think places like New Zealand, Iceland and the Philippines, where energy literally comes bubbling out of the ground in the form of hot springs, geysers and steam. These areas are usually found on the boundaries of the huge tectonic plates that make up the earth’s lithosphere. Along the borders of these plates, geothermally heated aquifers often flow relatively close to the surface, and these sources of energy are simply begging to be harnessed. The problem is, however, that the areas where these conditions exist make up less than 10 percent of Earth’s dry land. What About the Cool 90 Percent? Here is the good news. Geothermal energy originates below the earth’s crust, where the steady decay of naturally radioactive materials produces heat continually. Theoretically, this source of energy is available virtually everywhere, albeit at a greater depth than in the previously mentioned, geothermal areas. The total amount of thermal energy within a depth of 10 km from the earth’s surface is estimated to be 50,000 times greater than all the natural gas and oil resources in the world. Efforts to harness this hidden energy are already being made in various places across the globe, using a new technology called Enhanced Geothermal Systems (EGS). The method essentially expands traditional geothermal energy production through the use of hydraulic fracturing. It consists of drilling a well to a depth of about 3 to 10 km, where temperature levels are usually between 70 and 315°C. In contrast to EGS, traditional geothermal power plants usually only require wells that are 2 to 3 km deep, in order to reach the same temperature levels. Upon reaching this depth, water is pumped into the dry layers of hot rock at high pressure, which causes the rocks to break and thus increases their permeability. Cold water is then pumped down through an injection well, where it flows through the hot rocks before returning back to the surface as steam, through a separate well. The steam is then run through a turbine where it produces electricity, before it is cooled and condensed, and pumped back into the ground. This technology offers a number of different benefits. First of all, it introduces a vast supply of geothermal energy potential to areas that have hitherto been considered too cold for such ventures. The EGS technology also enjoys many of the same benefits associated with traditional geothermal energy production. It is a steady, renewable source of energy and geothermal plants require very little land space per MW produced, in comparison to other types of power plants. However, drilling in itself is a messy and expensive business, and as the technology is still in its infancy, the upfront cost of an EGS project remains very high. The technology also has to deal with the issue of induced seismicity, as the injected water can act as lubricant on highly stressed layers of rock near geological fault lines. In 2009, a $60 million EGS venture was cancelled in Basel, Switzerland, due to a flurry of earthquakes that were generated as a result of the project. While the momentum of EGS has been lessened by setbacks such as the Basel shutdown, as well as the under-delivery of other ongoing projects, the potential benefits that the technology promises are hard to negate. 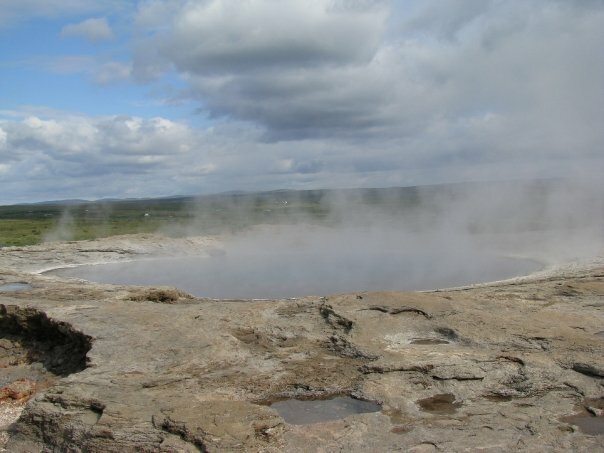 Proponents of EGS are still willing to brace the significant learning curve that lies ahead, before the technique becomes both technologically refined and cost competitive, and geothermal becomes a global source of renewable energy. Located on the Mid-Atlantic Ridge, Iceland is an island built for geothermal energy production. 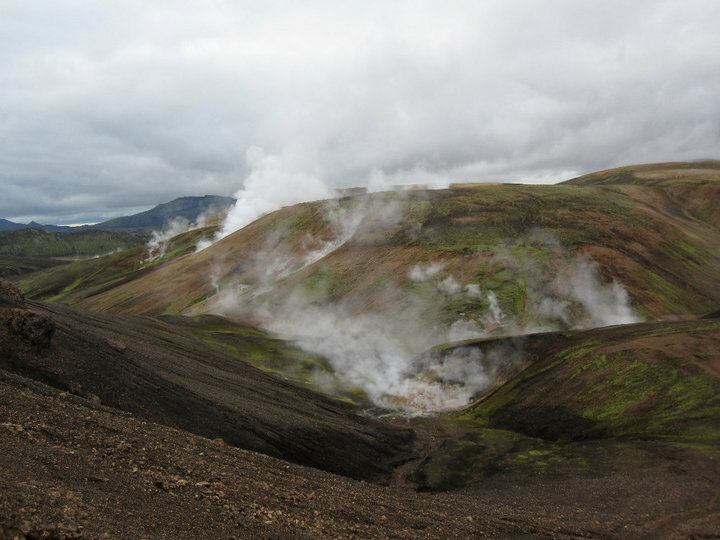 With temperatures ranging from 150°F to over 500°F just miles below the surface, the potential for geothermal energy in Iceland is seemingly limitless (1). But Icelanders don’t even have to go a mile below the surface in order to find their resource. There are several regions on the island where these temperatures are at the surface! The nation has developed a substantial number of geothermal fields, both high (150 degrees Celsius at a depth of 1km) and low (<150 degrees Celsius at a depth of 1km) temperature fields (1). From these fields, Iceland produced 155.2 PJ or 65% of the nation’s annual energy use in 2010 (2). The ability to have such an abundant and inexpensive renewable energy source has great potential for growing the nation’s economy, which is especially important since the Icelandic bank collapse in 2008 left the nation struggling. This has lead Iceland to look beyond its borders for opportunities in other energy markets. Aljazeera reports on Iceland’s potential for exporting power (7). The Submarine Cable Project is a plan to connect Iceland to Europe via an underground cable so Iceland’s excess renewable power can be sold in European spot markets, where electricity prices and demand are higher. The cable could potentially supply around five terawatt hours per year, which has been reported as enough electricity to serve 1.25 million European households annually (3). Based on 2011 European energy prices, the project would return $350 to $448 million a year (4). Although it is estimated that annual energy exports in Iceland could reach up to a tenth of the island’s $12 billion economy (5). 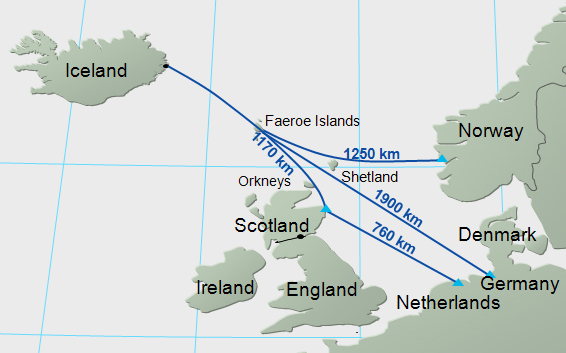 Potential paths of submarine cable to Britain, Norway, and Germany (6). The key trade offs for each path are length of cable, efficiency, and cost. Feasibility studies are expected to be completed in the next five years, and the project could be underway by 2020 (6). It should be interesting to see how recent developments in shale gas production and low natural gas prices impact this economic feasibility if this project.